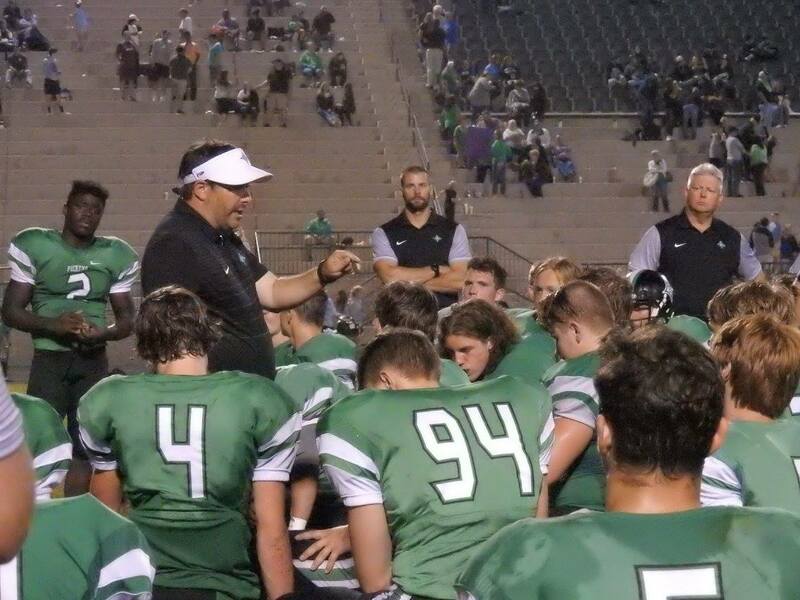 On Friday, the PHS Dragons varsity football team hosted the North Forsyth Raiders of the 7-A classification in the final non-region game of the regular season. Last year, these two teams came down to the wire with North Forsyth pulling it out late. 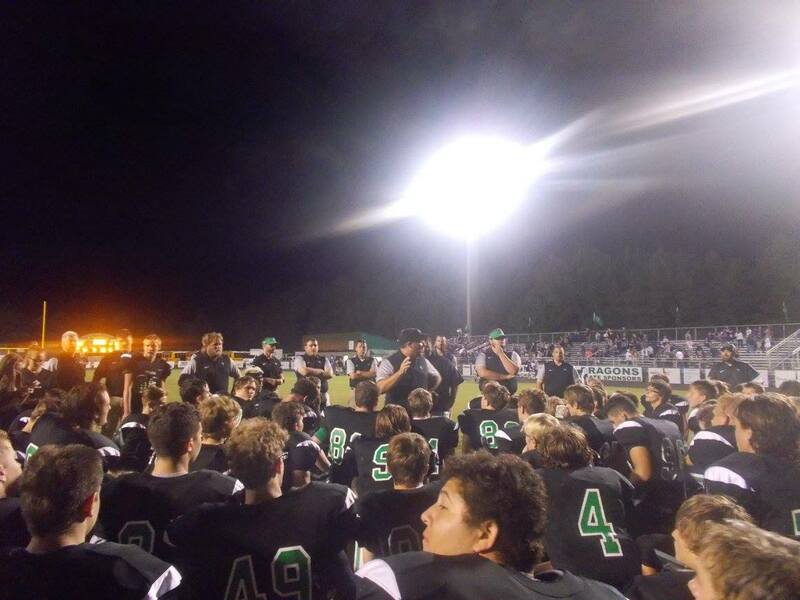 The Dragons, looked to build off of their come from behind win over North Hall last week. 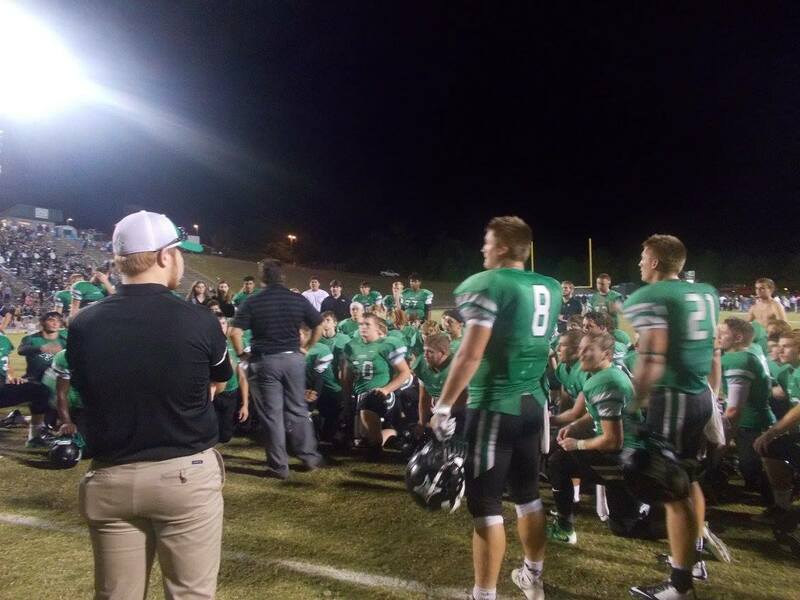 The Dragons began the game with the ball, but were forced to punt after going three & out. North Forsyth would then take advantage of a short punt to score the 1st touchdown of the game after a 12-yd run at the 9:04 mark of the opening quarter. Pickens answered back at the 5:59 mark when Senior Jacob Brumby connected with fellow Senior Josh Cain for a 21-yd TD, tying things up at 7 a piece. The tie only lasted :33 seconds though as the Raiders scored on an 80-yd TD run to reclaim the lead, 14-7 with 5:26 left in the 1st quarter. North Forsyth added to their lead just before the end of the quarter with a 5-yd TD pass. Going to the 2nd quarter, the Raiders lead the Dragons, 21-7. In the 2nd, Pickens cut the North Forsyth lead down to 7 after Brumby lobbed it up to Junior Zach Goss Jr from 21-yds out. Goss Jr would then leap over the defender to make a spectacular catch at the 10:48 mark to make it 21-14 Raiders. The fun in the 2nd quarter, was only just beginning however. North Forsyth then stretched it back out to a two score advantage after a 15-yd TD pass at the 7:06 mark, making it 28-14. The Brumby & Goss Jr connection came together for a 2nd time on the night, this time from 20-yds out, making it 28-21 Raiders with 6:21 left in the 1st half. A fumble recovery by the Dragons on the ensuing kickoff gave them excellent field position as Junior Robert Davis took it to the house on a 31-yd TD run at the 6:02 mark to tie things up at 28. The tie would be broken very quickly however as North Forsyth scored on a 69-yd TD run at the 5:18 mark to make it 35-28. The Raiders then hit a 25-yd field goal just prior to halftime to take a 38-28 lead into the break. The first score of the 2nd half came at the 5:35 mark of the 3rd after a 37-yd pass from the Raiders connected for the TD to make the score 45-28. North Forsyth again added to their lead at the 2:55 mark after a 30-yd TD pass made it 51-28, as we headed to the 4th quarter. The Raiders again found the end zone first in the 4th after a 30-yd TD run, stretching their lead out to 58-28 with 10:32 left in the game. The lone score in the 2nd half for the Dragons came at the 10:11 mark after an 80-yd TD run from Davis to make it 58-35 Raiders. North Forsyth would take this one by a final score of 58-35. The Dragons will be off next week as they get ready for 6-AAAA region play on the 29th when they host the Gilmer Bobcats for Homecoming. 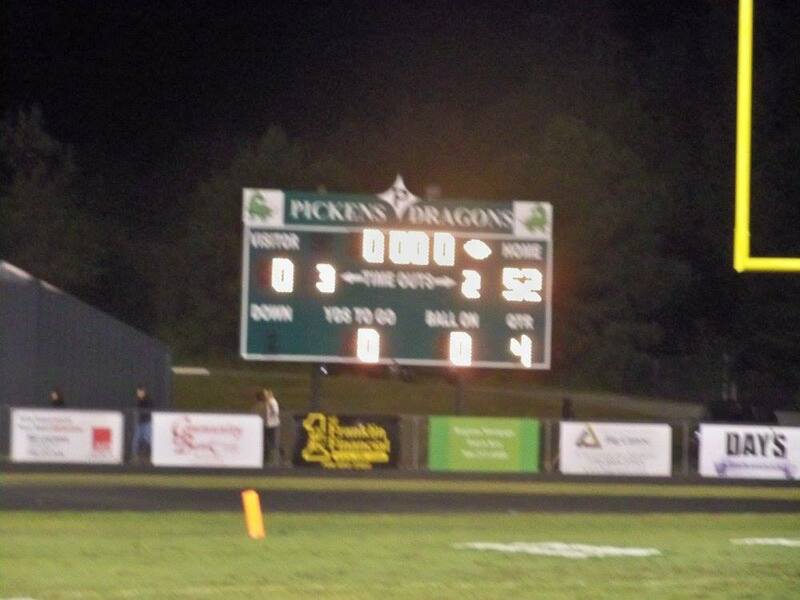 The Picken High School Dragons football team hosted the Raiders of Southeast Whitfield at Dragon Stadium. Coming into this ball game, the Dragons was 4-1 overall and 1-1 in the region while the Raiders was a perfect 5-0 and 2-0 in region play. The Dragons, coming off of a big home win against Northwest Whitfield, looked to continue that momentum and drop the Raiders from the ranks of the unbeaten. The game was the Homecoming at PHS which would only add to the excitement of the night. The Dragons’ offense scorched the Raiders to the tune of 62 points as Pickens picked up the 62-40 win over SEW.